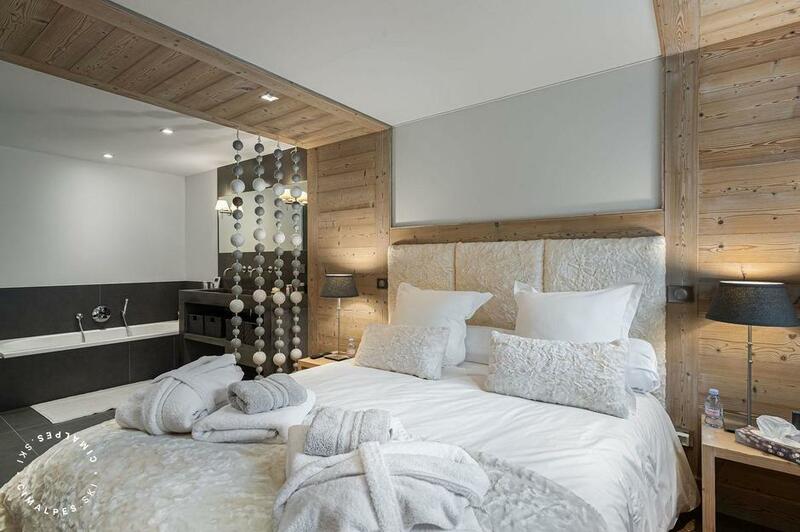 The chalet Grand Tetras is located in the center of Courchevel le Praz, a traditional village with incomparable charm and calm more than enjoyable. It is located near the gondola Praz, leading directly to the Plantret disctrict of Courchevel 1850. 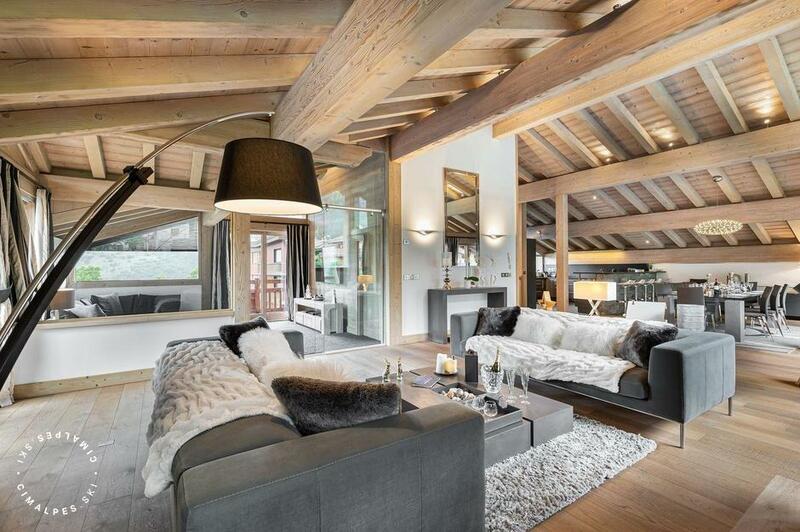 The chalet Grand Tetras has 450m² of living space, which can accommodate 10 people and spreads over four floors. 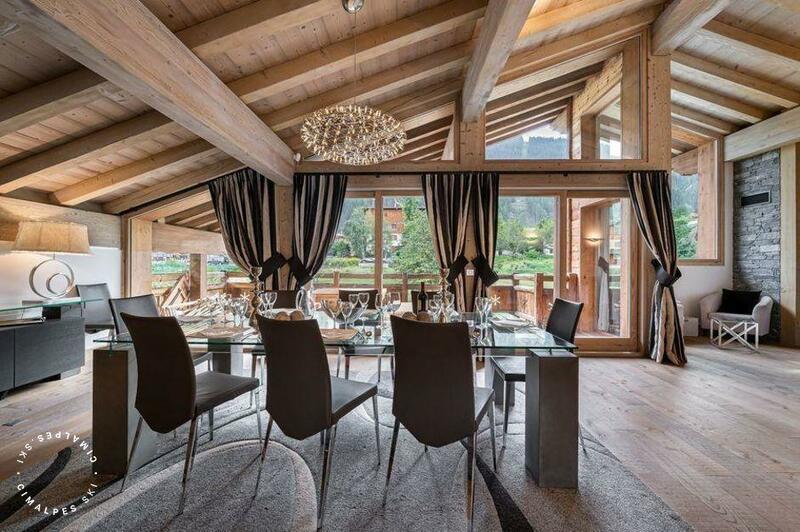 Exceptional chalet, level -2 is devoted to oenology, with a wine cellar where you can taste various grape varieties. Level -1 is dedicated to quietude, and includes a relaxation area with pool, sauna, steam room and a lounge. The ground floor consists of 5 double bedrooms ensuite, with dressing room, TV and safe. Finally the fourth floor consists of a group living room with a lounge area with fireplace, a dining area and a kitchen open to the latter. A beautiful south facing terrace that will allow you to enjoy the natural heat of the sun throughout the winter. This chalet is ideal to meet as a group, whether with family or friends, you will enjoy spending time together in the Capercaillie. 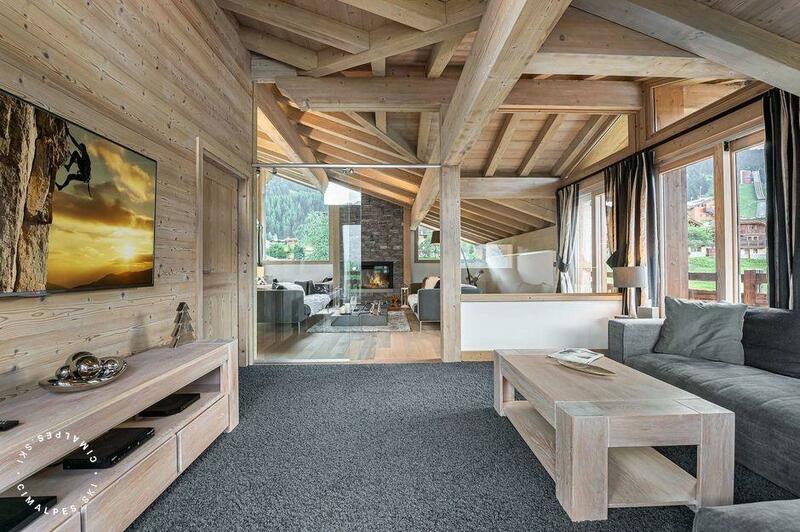 Bedrooms and a ski room. Chalet Le Grand Tetras is a luxury chalet in Courchevel le Paraz. Chalet for 10 people, it combines contemporary and traditional decorations, and includes a wine cellar and a wellness area with sauna, hammam and swimming pool. 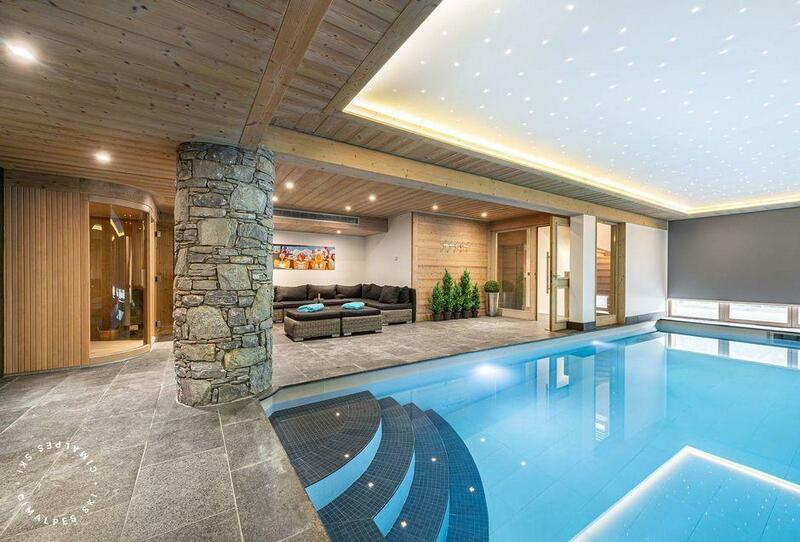 In a soothing setting, far from the exuberance of Courchevel 1850. In front of the Praz gondola lift, it gives easy access to the Plantret district, calm gateway to the 3 vallées skiing area.